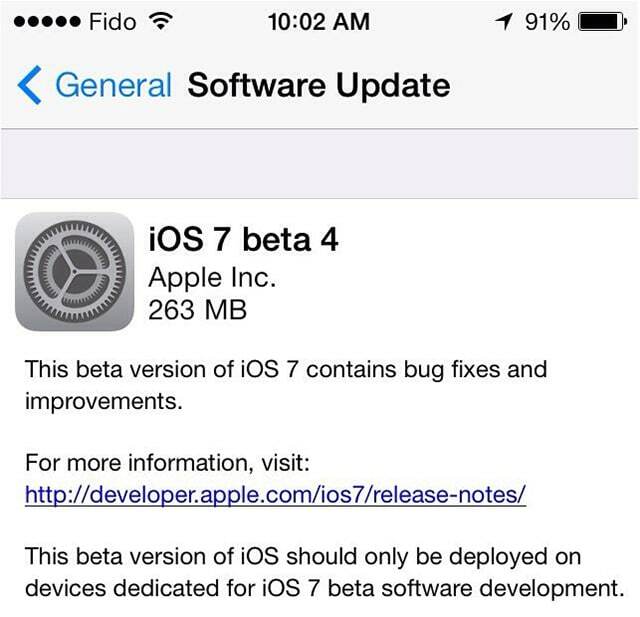 Apple today released the fourth beta version for iOS 7 to its developers. According to the over-the-air update, this version, build 11A4435d, contains bug fixes and improvements. If you’re an iOS developer you can download iOS 7 beta from the developer center. The update is about 263 MB if it downloaded through the-over-the-air update feature. If your UDID is not registered on the Apple developer site, you will not receive the update over-the-air. Anyone else who’s not a developer will have to wait until this fall for Apple to officially release iOS 7 for everybody.